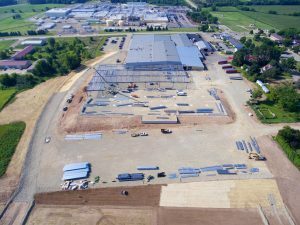 Whether reconstructing a highway or prepping a commercial location for expansion or construction, MCC, Inc. has the equipment and personnel to perform nearly any type of heavy construction. 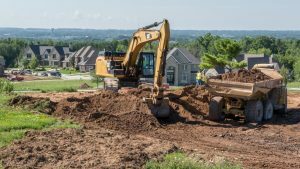 Equipped with excavators, dozers, compaction equipment, haul trucks, and much more, the company can build your project from the ground up. 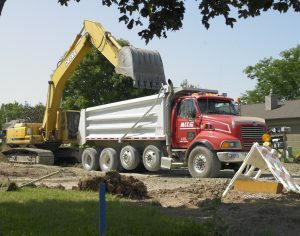 Today the construction division serves many different aspects at MCC, Inc. with a wide variety of equipment. 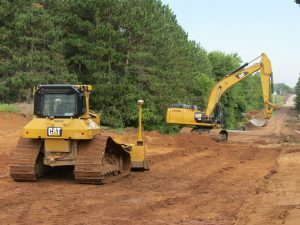 While maintaining its original role with the aggregate division, it also works with the trucking, concrete and asphalt divisions. 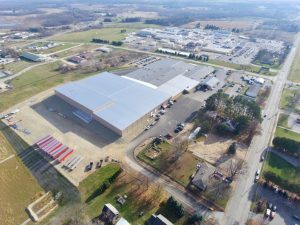 Today MCC, Inc. is able to handle many different projects from demolition’s, driveways, basements, to building sites and parking lots; along with town roads, subdivisions, and State and Federal Highways.